My name is Traci Hall and I love to write...sounds like the beginning step of a program!However, I am not sorry that I love to write, so I guess I'm in it for the long haul. Finger cramps, slumped back and numb feet from sitting all day aside, there is nothing I would rather do than tell stories. Hearing back from readers makes it all worth while. To ask Traci E. Hall questions, please sign up. 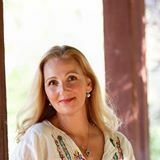 Traci E. Hall I am very fortunate that I have not ever had a case of writer's block - usually I have so many ideas, and not enough time to write them! K/Karma Aneko, grew up in Hawaii in an environment that left her jaded, running away from the ocean, and a woman who does not believe in letting anyone “in”. I loved this story--I think that the author really brought New Orleans to life. Jared was a hottie, and Kendra his perfect match--her friends were a great addition to the over-all magic!
" Thank you so much for "getting" Emma and Jackson--as a writer, when you are putting it all on the page, you hope that readers fall in love with them a Thank you so much for "getting" Emma and Jackson--as a writer, when you are putting it all on the page, you hope that readers fall in love with them as much as you have. Hey, no problem! Definitely looking forward to reading it.